Good evening folks, tonight I wish to speak with you about a subject matter that is not near or dear to my heart, it is called political correctness. This subject matter touches each and every one of us on a regular basis in our daily lives. In its simplest form political correctness is the attempt to avoid offending anyone at anytime regardless of the subject matter. I believe that when most of us hear the term political correctness it is not a smile that crosses our face, it is more likely to be a disgusted frown. Today if a person says anything about a subject matter when it may in any way shed a light of truth on the events of today, if that truth in the slightest degree has any measure of negatives then you will be labeled as a hater. There was a time in this country when people were allowed to be honest in their speech but unfortunately that is not the case these days. Now if you say anything about anyone person or persons even if you are speaking the total truth to the best of your knowledge, you have become a hater or some kind of a bigot whom is very likely to be sued in court because you dared to be honest. In the past we could describe a dirty old man in simple terms/truths, these days political correctness (stupidity) airbrushed the truth stains away so that you don’t offend that dirty old man. These days that person is a sexually focused chronologically gifted individual. Laziness is now referred to as motivationally deficient. I am now no longer short being only five feet eleven and three-quarters inches tall, I am vertically challenged because I didn’t make it to at least six feet. It is comforting to know that I didn’t really have trouble with algebraic equations in college, I simply had a memory deficiency. We could all just sit back in our Lazy Boy recliners with a glass of Jose Cuervo in one hand and a big blunt in the other and just sit back and laugh at American politicians and media talking heads as they spout this stupidity. The scary part of this is that what we the people call stupidity/political correctness, some of the fore mentioned people cultivate this ignorance as their personal gospel. This ignorance is a gospel of re-education and it does show via the ignorance and apathy we see and hear when today’s streamlined, bought and paid for politicians open their mouths. Today at almost all of our college campuses as well as the secondary and primary schools this re-education propaganda is widely referred to as diversity education. This ignorance that our politicians and the media push down our throats tries to please everyone all of the time and to never offend anyone any of the time. This is a nice story line if it were in a small child’s fantasy or Fantasy Island handbook but in the real world it is simply poison. Most all of us adults know that political correctness if allowed to play out and to become the laws of the land, we are all doomed to be the laughing-stock of the whole world. Today if people dare attempt to speak the truth about real world issues they are branded as haters or we are people with stone-age ideologies. Truth is that when people do dare to speak the truth on real issues what you say will most likely offend some people whom do not happen to agree with you. When we are cultivated away from the truth and told we can’t say such things isn’t this the same thing as saying to advance in our society today that you must either be and idiot, or an habitual liar? For those who might think that this mental disease is a spin-off of the 1960’s and 70’s hippy drug culture then you need to crack open some college level history books and increase your knowledge on this subject matter. My friends, political correctness has been around and practiced through other cultures around the world far longer than any of us have been alive. Political correctness is really nothing more than cultural Marxism in some professors views and I can’t say that I disagree with them. If we compare the basic tenets of political correctness with classical Marxism the parallels of the two are very obvious. When Marxist Communists take over a country such as Russia, China, North Korea or Cuba the personal freedom of speech ceases to exist. I leave you tonight with just one last observation, isn’t it amazing how much Russia and her politics have turned to look more like our politicians rhetorical babbling? Or, is it more correct to say that our government is starting to look more like the Russia of President Putin or even that of Germany of the mid 1930’s in that free honest intelligent conversation can be construed as a hate crime? Is political correctness in places like D.C., Hollywood and New York City going to be a nail in America’s coffin? Time will tell us all what the truth is but I totally have my doubts that anyone alive today will live long enough to see that day. Friends, good night, stay well, God Bless. Here in the U.S. far to many people have become one issue oriented whether it be in their politics or in their personal lifestyle. So many people these days decide on who they like, love or hate over how that person believes on just one issue. Take politics, many people vote Republican because of the Republican platform stance on gun rights while many other people vote Democratic because of that same issue. Just as many people vote for Democrats and against Republicans because of the abortion issue. Those for it will vote for the Democrat and those against abortion will vote for the Republican. Concerning the issue of ‘Gay rights’ and ‘LGBT rights’ when it comes to political parties here in the U.S. most people who are for these ‘rights’ do seem to be Democrats as Democrats do seem to be more pro-LGBT-Gay rights than what the Republicans are. But now, let us get to individual issues, lets put this on a personal level, just between you and me. First I will fire off my salvo’s so that there will be no doubt where I stand on these issues. This is best being there is no way that I can possibly speak for you. All I can do here is to pretend that you are a person that thinks totally ‘liberal’ about the ‘Gay’ issues. Growing up, I to the best of my knowledge didn’t know any Gay kids, yet as an adult I did learn of some kids that were actually Gay, I was just unaware of it. My ‘kid days’ were back in the late 1960’s and the early 1970’s and back then this was definitely a ‘Closet’ issue, kids would have been beaten up for less than this. So, in the 1980’s some of these kids ‘came out’ as young adults. Living in a closet for years within ones own family would have to have been such a difficult thing to have to do. I am sure that if I had been Gay and my Dad would have found out he would literally have beaten me to death, no doubt about it. Now, my wife was born in 1965, she only had one brother, he was born in 1963, he died from Aids in 1992 at the age of 28. This is something that devastated their family of six. He ‘came out’ at the age of 18 and even his Mom tried to run over him with the family car. Needless to say he moved out of the house at age 18, 9 1/2 years later, he was dead. I never met him as he died 7 years before I ever met his sister yet I do honestly believe that we would have gotten along quite well as long as he didn’t do ‘gay’ thing right in front of me. I’m just being honest, yet it seems that he was a kind and decent person who would not have thrown his ‘gayness’ into people’s faces, just as I would never have belittled him for being gay. Now I try to be the best Christian servant of God that I know how to be and my wife said that her brother knew that the Bible says that acting out on ones gay tendencies is a sin. She said her brother did not want to be gay, he simply was. He tried dating girls but he just wasn’t interested, it would have been like a straight guy trying to date another guy to prove that they are gay when they weren’t. My wife believes that being gay or being bi is a chemical issue in the brain that a person cannot have ‘spanked or beaten’ out of them. In other words, if you are gay, your gay. No one likes to be told that the things that we do, like or believe is wrong yet reality is, some things are wrong. Regarding human laws, these laws tell us what is okay for us to do and what things will get us fined or arrested. Concerning God’s laws (sins) we are told what is okay and what things He does not want us to do. We each set up rules within our own homes and within our own minds as to what we will or will not accept as being okay. Some will not like some of the things that I am saying but O well, that’s life, deal with it. Just as I will disagree with some of you on this issue, I need to deal with it. Just because you disagree with me or I you on this issue or on a plethora of other issues does not give any of us the right to hate the other person or to physically harm the other person, to do either, is sin. Even though by Scripture the LGBT-Gay lifestyle is a sin and it is not one I personally approve of, if I hate you because you are Gay, that is a sin on me. God says that He hates the sins that we commit, but He still loves the sinner and every one of us are sinners, we may just have different sins that we commit. If I lie, that is a sin, if you act out your gay wishes, you have sinned. Disapproving of each others lifestyles is just normal human ways. Are you old enough to remember how short-haired people ‘hated’ people with long hair? Or, maybe do you remember how people would ‘hate’ people who wore different style of clothes they themselves did? Hate toward one another, it is stupid, it is sinful. Just because I am hair deprived and you have long thick hair it is wrong of me to hate you, or you me. Just because I wear a pocketed T-Shirt to Church services and you wear a thousand dollar suit to Church, should we hate each other? Just as some people may have to walk to Church services or ride a bicycle while another drives a new BMW there, should we hate each other? In these areas there is also another sin to watch out for, it’s called envy. Should I hate or envy you because you are able to have a purple Mohawk hair style when I have no hair? Really, how childish, how sinful are we inside our own minds? Everyday our hate, shows all the people around us just how sinful ‘we’ are. Tourist Mona el-Mazbouh complained about sexual harassment in profanity-laced video, with Egyptians responding in kind. A Lebanese tourist who was arrested last month for posting a video on Facebook complaining about sexual harassment and conditions in Egypt, was sentenced to eight years in prison by a Cairo court on Saturday, her lawyer said. Mona el-Mazbouh was arrested at Cairo airport at the end of her stay in Egypt after she published a 10-minute video on her Facebook page, laced with vulgarity and profanity against Egypt and Egyptians. Mazbouh, 24, complained of being sexually harassed by taxi drivers and young men in the street, as well as poor restaurant service during Ramadan, in addition to an incident in which money and other belongings were stolen. Mazbouh said in the video that she had visited Egypt several times in the past four years. A Cairo court found her guilty of deliberately spreading false rumours that would harm society, attacking religion and public indecency, judicial sources said. An appeals court will now hear the case on July 29, according to Mazbouh’s lawyer, Emad Kamal. 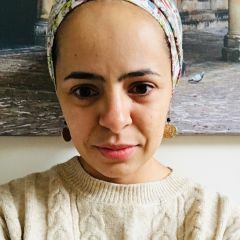 Kamal said a surgery Mazbouh underwent in 2006 to remove a blood clot from her brain has impaired her ability to control anger, a condition documented in a medical report he submitted to the court. She also suffers from depression, Kamal added. The video went viral, prompting many Egyptian women to take to social media with their own videos to express their anger at Mazbouh, while responding in kind against Lebanon and Lebanese women. 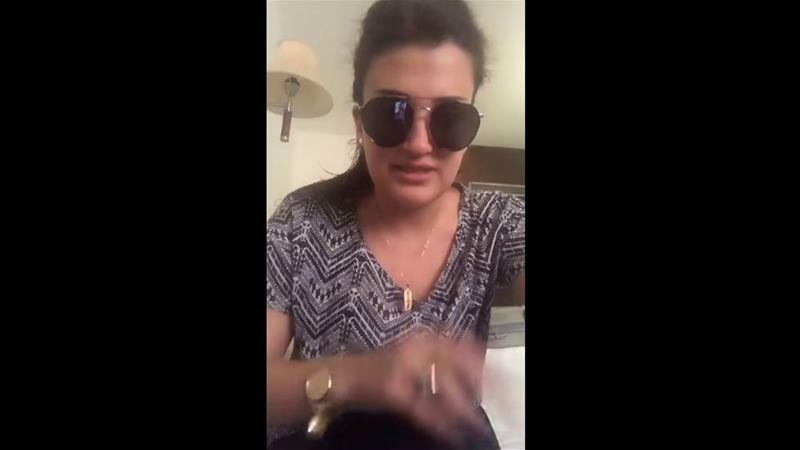 The day before she was arrested, Mazbouh posted a second video on Facebook apologising to Egyptians. Egyptian rights activists say they are facing the worst crackdown in their history under President Abdel Fattah el-Sisi, accusing him of erasing freedoms won in the 2011 Arab Spring uprising that ended Hosni Mubarak’s 30-year rule. His supporters say such measures are needed to stabilise Egypt after years of turmoil that drove away foreign investors and amid an uprising concentrated in the Sinai Peninsula. If Saudi Arabia Is Honest About Reform They Must Free Raif Badawi! However, while the Crown Prince travels the world touting a transformed Kingdom, Badawi has languished in a Saudi prison for almost six years now, for professing his vision for remaking the region. But will these commendable principles and policies have permanence, or were they simply a prelude to the Crown Prince’s Western ties–building tour and PR campaign? The litmus test for legitimacy is the freeing of Raif Badawi — the champion of these changes. Indeed, releasing Raif would be in the kingdom’s own self-interest. As the Crown Prince looks to raise foreign direct investment to 5.7% of GDP, he is seeking to “create an environment attractive to… foreign investors, and earn their confidence in the resilience and potential of [the Saudi] national economy.” Building this investor confidence will require increasing trust in Saudi legal norms, including those of constitutions and contracts — a crucial assurance for investors against arbitrary treatment. Yet the treatment of Raif Badawi is in standing violation of domestic Saudi law and further obligations that Saudi Arabia has assumed under international law. The Court that convicted Badawi lacked jurisdiction. The witnesses in his case were inadmissible. He was denied his right to counsel — his lawyer and brother-in-law Waleed Abu Al-Khair was himself imprisoned — and he was not informed of the charges against him, nor given the necessary time and means to prepare his defense. His sentence of lashings was itself illegal — as physical torture is prohibited under the Arab Charter on Human Rights, ratified by Saudi Arabia in 2009, and the U.N.’s Convention Against Torture, which the nation ratified in 1997. The criminalization of Badawi was ultimately the criminalization of the protected rights he sought to exercise and of freedom itself. In the face of these standing violations of their own sacred laws and treaty agreements, why should investors trust that Saudi Arabia would respect their business commitments? Investors could just as easily be treated with the same arbitrariness. However, it is not too late for Saudi Arabia to make an important statement to the international investor community about rule of law and remedy these standing violations by releasing Badawi and his lawyer. To release Badawi would also be a stroke of geostrategic genius. Faced with the regional resurgence of violence emanating from the Iranian Regime — such as the recent firing of rockets at Riyadh by Iran-backed rebels in Yemen — the Saudi Crown Prince has been encouraging the international community to increase economic and political pressure against Iran. Similarly, the Crown Prince spearheaded a regional move to sever ties with Qatar to protect “national security from the dangers of terrorism and extremism.” The collective action aimed to pressure Qatar to end its support for terror groups, including elements of ISIS, Al-Qaeda, the Muslim Brotherhood and Hamas. But when the Saudi ambassador to Canada tried to host a major press conference on Qatar with his Egyptian and Emirati counterparts in July 2017, his message was lost. Journalists asked about Badawi at the Conference — and the ambassadors were forced to abandon their advocacy on Qatar to defend the unjust imprisonment. Indeed, Raif Badawi may be the most celebrated prisoner of conscience in the world today. Nominated for the Nobel Peace Prize, he is a recipient of scores of prestigious human rights awards and honorifics, including the Sakharov Prize of the European Parliament, the PEN Pinter Prize and the Reporters Without Borders Press Freedom Prize. Foreign Policy named him as one of 2015’s 100 Leading Global Thinkers, and he received the Courage Award from a coalition of 20 human rights groups from around the world at the Geneva Summit for Human Rights and Democracy. His case and cause have been championed by a broad and inclusive cross-section of leaders from both civil service and civil society. Rather than distract from Saudi efforts, releasing Badawi would help advance their campaign. Indeed, Badawi would be an articulate ally and spokesperson for shining a spotlight on Iran and Qatar, which are among the most regressive and repressive regimes in the world — and as a human rights activist Badawi has been a forceful critic of each. Living in liberty, Badawi — with his established and influential global network — can play a transformative role in growing a grassroots campaign and cultivating a collective coalition against the state-sanctioning and support of extremism of the Regimes in Iran and Qatar. With such a critical mass of reasons to release Raif, any claims to the contrary are certainly surmountable. 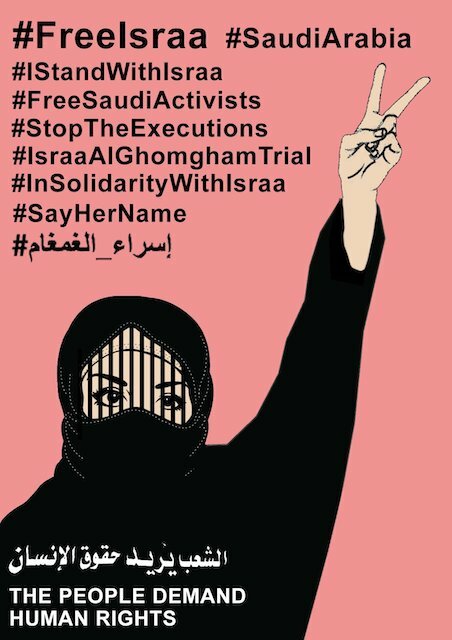 The slippery slope argument — that the Saudi state would face an emboldened movement to release other prisoners, some of whom may pose a risk to national security — is mitigated by the exceptional nature of Badawi — an international icon, whose views now largely parallel those of the new Saudi leadership. His release would have a positive worldwide resonance, and attest to the genuine authenticity of reforms to this global audience. Ultimately, Crown Prince Mohammad bin Salman has full authority to grant clemency. When he releases the list of pardons in advance of Ramadan next month, the Crown Prince should take the opportunity to propel his agenda forward — both within Saudi Arabia and across the globe — by freeing Raif Badawi, and allowing him to join in Canada his wife Ensaf, and children Najwa, Terad and Miriyam.